Wet Prime vs. Dry Prime - Which is Right for You? 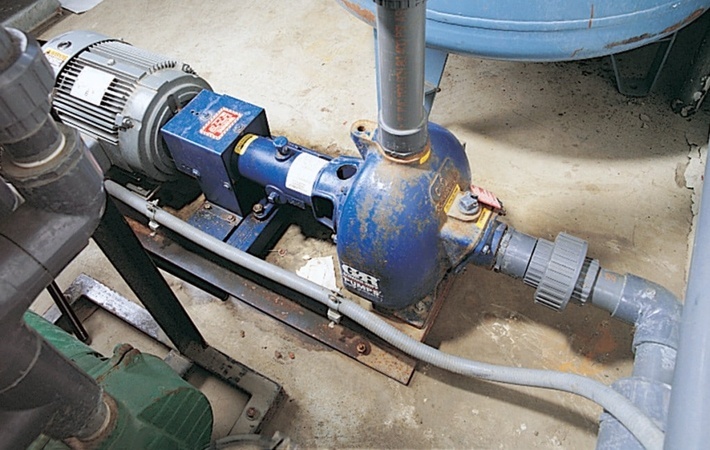 Wet-prime pumps are typically easier to use and maintain compared to dry-prime pumps. However, dry-prime pumps will typically outperform a wet-prime pump. Let’s discuss the differences, and when you might want to use each pump. A wet-prime pump has fewer components, meaning fewer points of failure or parts to maintain. A wet-prime pump consists of a pump and a motor or engine. Depending on the design, they are known to last for 25+ years with regular maintenance. We always encourage preventative maintenance when it comes to fluid applications and these pumps are no different. 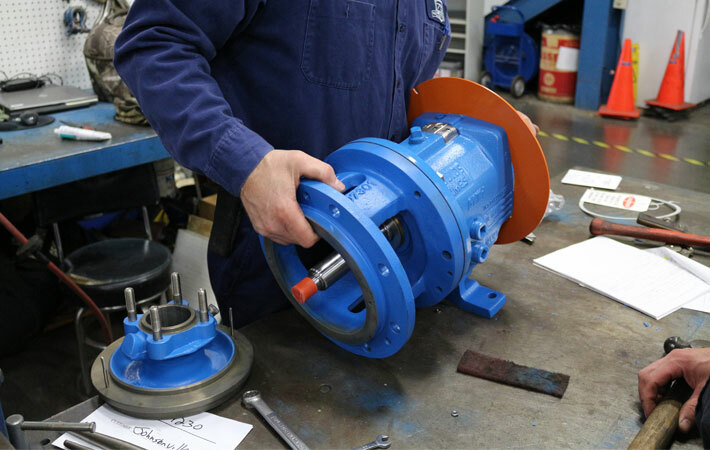 A wet-prime pump’s performance is affected by internal pump wear, so routine maintenance is important. The pump end of a wet-prime pump has a large volute to hold a large volume of water. This is because a wet-prime pump requires the pump cavity to be filled with liquid before its first use. It will continue to prime itself as long as water stays above the eye of the impeller. There is a check valve on the suction side of a wet-prime pump to prevent water from siphoning out when the pump is shut down. Portability is another benefit of wet-priming pumps. They don’t need a dedicated power source and can be placed anywhere. They are relatively inexpensive to purchase and maintain. The only downside is that you have to manually prime it after installing it, and you aren’t able to control the pump’s speed. It also has a fuel capacity that requires frequent monitoring and refueling. It is important to note that wet-priming pumps do have operational limitations. They are best suited for applications with a relatively low sump. Specifically, applications with less than 200 feet of discharge while pumping no more than 350 gpm. They work best where there is an abundance of liquid, when the pump running constantly, or if the unit has an automatic float control for automatic on/off operation. The best conditions for wet-priming pumps are open pit and sumping applications, where the suction lift is less than 25 feet and priming time is not as critical. Wet self-priming pumps normally take longer to prime, depending upon suction lift and length of suction hose/pipe. While the wet-prime pump can handle some air intrusion on the suction side, if there is a significant intrusion of air, it will lose its prime and will need to re-prime itself. If this happens, the pump will be inoperable for a while until it is primed again. The main difference in a dry-prime pump is its ability to prime without the need to add fluid. 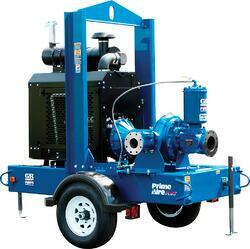 Prime is maintained by a vacuum unit, diaphragm, compressor or other priming device. 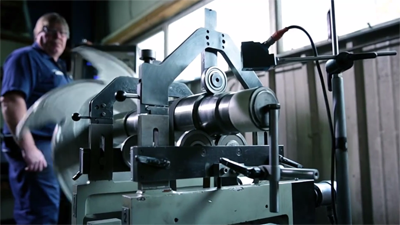 An integral compressor creates vacuum through a venturi educator to achieve proper suction prime. A dry-prime pump is perfect for nearly all dewatering and transfer applications that require high and rapid static suction lift. A dry-prime pump’s rapid priming coupled with higher volumes results in a great efficient compared to wet-prime pumps. With the improved efficiency and performance comes a higher price tag, usually about 40% more than a wet-prime unit. However, that increased cost is offset over time by the cost of fuel required to run a wet-prime pump. Dry-priming pumps will almost always outperform wet-priming pumps because of their design. 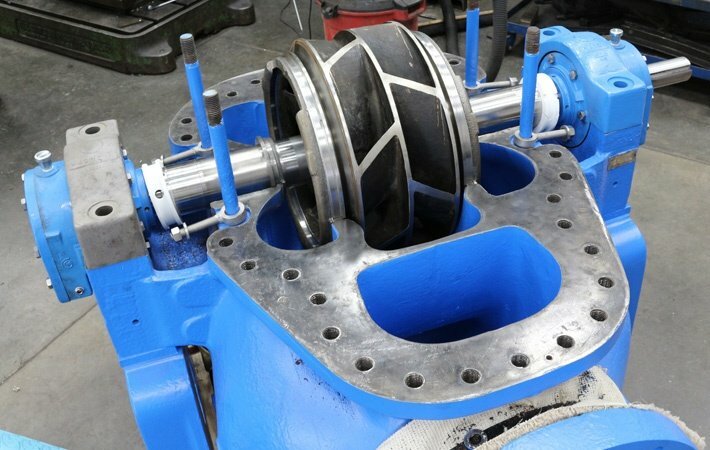 Generally, dry-prime pumps incorporate non-clog impellers, which are more efficient than the open impeller used in wet-prime pumps. Unlike wet-prime pumps, a dry-prime pump has the ability to handle large volumes of air in the suction. 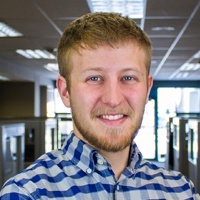 Because of this, you will see them used in applications where they might experience dry running or intermittent flow. A prime-assist dry-priming pump will pick up suction prime without requiring an operator to fill the pump with fluid. You can also use automatic controls to start and stop a dry-prime pump. This is advantageous because you can prime the pump in an application where self-priming a pump would be difficult or impossible. If you're having troubles with your dry-prime pump priming itself, you should read our post about 6 Reasons Your Self-Priming Pump Won't Prime. Otherwise, contact us with any questions!